Restorative Dentistry in Yonge and Eglinton Area – Dental Restoration! Regain your smile; keep it bright with restorative dentistry procedures from Town Smiles Dental. A healthier smile means a happier you! Lost a tooth? Restorative dentistry can help you fix that! When you lose a tooth or teeth, your mouth loses a part of its system and this hampers smooth functioning. Restorative dentistry can help you restore the functionality and look of your mouth with the help of dental procedures. Do you need restorative dental treatments? Restorative dental treatment may help you deal with all of these problems. It is wise to tackle these problems early on so you can reap maximum treatment benefits. These treatments are performed by professionals with the latest technology at Town Smiles Dental. Get a complete smile today! Restore your confidence with an appointment! There are two types of restorative dentistry: direct and indirect. These are small procedures and are usually performed within a single visit. They are usually for teeth which have not been too damaged. These procedures are performed to fix teeth which cannot be restored or saved with a simple filling. 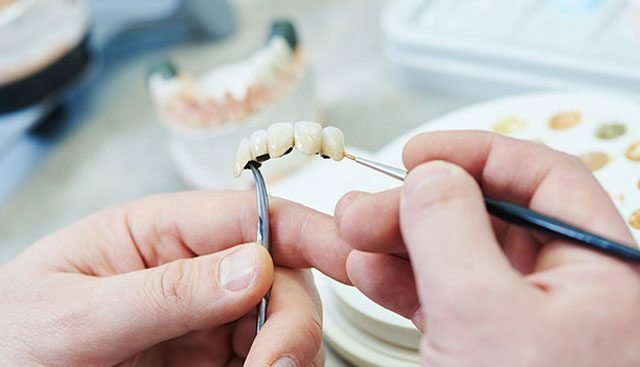 Sometimes teeth need to be removed and prosthetics may be used to provide protection or support. These procedures often require more than one visit to the dentist. You can consult with our Town Smiles dentists to know which type of restorative dentistry you may require. Town Smiles Dental tries to provide a complete and aesthetic smile to its patients at affordable prices. Come in for a consult to learn more about the costs. Book an appointment to get a fuller, healthier smile with Town Smiles Dental!